(LĐXH) On the occasion of the official visit to Australia of Prime Minister Nguyen Xuan Phuc, in the presence of the Prime Ministers of the two countries, Minister of Labor - Invalids and Social Affairs Dao Ngoc Dung and Minister of Vocational Education and Skills Karen Andrews signed Memorandum of Understanding on cooperation in the field of vocational education. Firstly, policies, governance and quality assurance, including the content of the cooperation on system design and occupational education policy, activities related to quality assurance and good governance; collaboration on policy development for vocational counseling agencies; including sharing skills development experience and vocational standards; Sharing information on vocational education for people with different cultural and linguistic backgrounds, includes language skills; Exchange experiences on improving the perception of the value of vocational education and raising the importance of career education when choosing a career. Secondly, there are qualified staffs and curriculums, including encouraging cooperation to enhance the quality of teachers and assessors; Sharing experiences for staff working in the vocational education system; Promoting curriculum development and training. Thirdly, cooperation between vocational education institutions, including the promotion of high quality links between Australian training institutions and high-quality vocational education centers in Vietnam; Sharing experiences in the management of vocational education institutions, strengthen training and improving abilities for teachers and managers to encourage training institutions in Vietnam and Australia in regular dialogues; Sharing information about cooperation with businesses; Application of new educational technologies; necessary policies and governance for distance education, online learning or the combination of online and classroom. Fourthly, the promotion of the exchange of students, teachers, researchers and other exchange programs, on the basis of the mutual agreement, international scholarships by the Government and professional education institutions of the two parties. 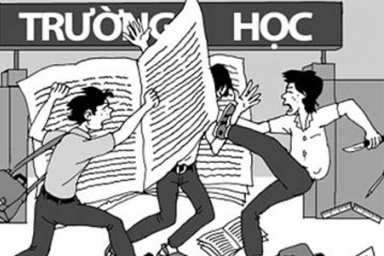 In addition, the Memorandum of Understanding affirms that other areas of cooperation in vocational education will be mutually agreed upon Vietnam and Australia. In the framework of the visit, Minister of Labor, Invalids and Social Affairs Dao Ngoc Dung had a bilateral meeting with Australian Minister of Education and Skills Karen Andrews. The two sides recognized the potential and opportunities for cooperation in the training of human resources of high quality, linking vocational training with the needs of enterprises. Vietnam's priorities are in line with the strength of Australia's world-class vocational education and training system. Minister Karen Andrews affirmed that Vietnam became an important partner with Australia in international cooperation in vocational education. Minister Dao Ngoc Dung expressed his gratitude to Australia's cooperation and support in the field of vocational education for the past few years, and hoped that the cooperation would be further developed. He also emphasized that in order to have high quality human resources and access to the world, cooperation and experience sharing with developed countries with good vocational education is really important. 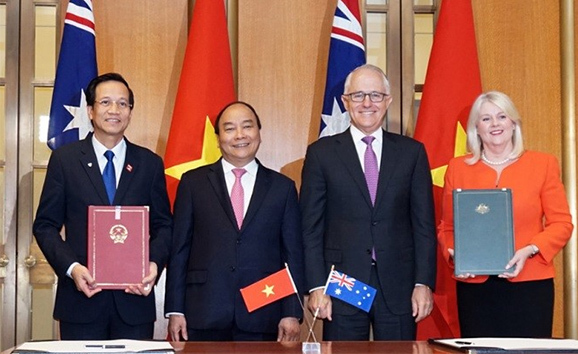 It can be said that the Memorandum of Understanding between the two Ministers will be a new legal basis and facilitating further cooperation between Vietnam and Australia. Translated into English by Minh Ngoc.